Katharina Jiménez Weese is a very active member, not only on a local level, but also on a European level. You can find her at many Agorae, Network Meetings (NWM) and other AEGEE events. She used to be a board member of AEGEE-Bamberg, and recently she decided to take part in the organising team of Agora Chișinău. The AEGEEan: Can you tell us a few things about yourself? Katharina: I am a twenty-three-year-old Spanish-German European Economics student from Heidelberg living in beautiful Bamberg. I love the sun, travelling, skiing, everything with cheese, Barcelona and, of course, AEGEE. 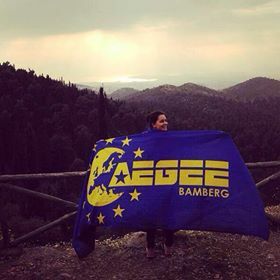 When did you join AEGEE? Which projects do you work for? I joined in April 2014, and since then I was active in my local board as Secretary and President. Now I am the moderator of the Language Interest Group on the European level. 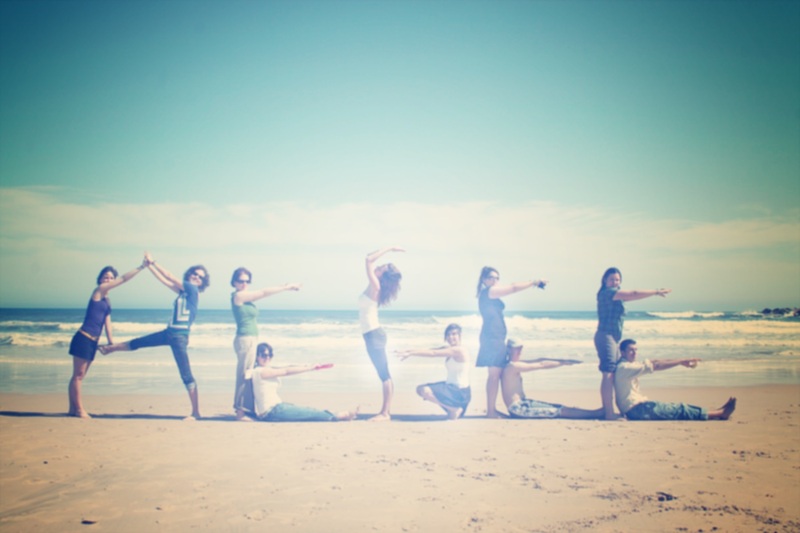 What kind of activities do you usually do in the Language Interest Group (LGI)? In July 2014, I joined the former Language Working Group, and since then I am actively taking part in all our projects and activities. Our current projects are the Travel Dictionaries, Summer University cooperations, workshops at statutory events, online and live meetings, and we have some new ideas like a survey on language learning among AEGEEans, which we are developing at the moment. Our biggest and longest ongoing project is the yearly European Day of Languages, which is taking place on November 17th this year, and antennae all over Europe will be celebrating language diversity on that day. Can you explain us the initiative “More than education”? Which is its aim? The “More than education” initiative is a European Citizens’ Initiative which, by collecting one million signatures within one year, has the aim of putting civic education on the European political agenda. It wants to call on the European Commission to make a legislative proposal to change education in a way that it shapes active, responsible and democratic citizens. Can you tell us something about your experience at the spring break event in Tenerife? The spring break event in March 2016, organised by AEGEE-Tenerife, was one of my greatest AEGEE experiences so far. Starting from the beauty of the island itself, to the hospitality of the lovely organisers to the amazing group of participants and the program. 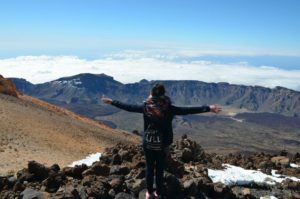 Highlights were a hitchhiking challenge across the island and the day trip to the 3700 meters tall volcano Teide, followed by swimming in the sea some hours later. Absolutely recommendable! 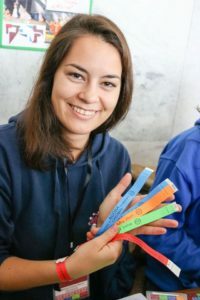 Why did you choose to become an organiser for the Autumn Agora Chișinău? It all started with the Pre-Event of Agora Kyiv 2015, organised by AEGEE-Chișinău. It was also one of the best events I attended and, by then, there was no local that applied for hosting the Autumn Agora 2016 yet. During the event, we somehow came up with the idea that AEGEE-Chișinău should apply as a host but, AEGEE-Chișinău was quite small and inexperienced in organising such big events, all participants promised to come as helpers and voilà, one year later I was sitting at the incoming desk of the Agora! I am really grateful for this experience and I am very proud of AEGEE-Chișinău for having successfully mastered this challenge! You look like very experienced in AEGEE. Have you ever thought to present your candidature for an European position like the CD? Right now I am happy with my LIG moderator position, and my active member status in AEGEE-Bamberg. Before I move any step forward, I first have to finish my Bachelor studies. But afterwards… never say never! Tell me the thing you like the most in AEGEE and why. AEGEEans. They are just so warm-hearted and inspiring! My studies in Bamberg, my Erasmus in Barcelona, and all the events I attended would not have been the same without my AEGEE friends. And I love reunions! Which skills did you develop in AEGEE? Do you really speak five languages? I developed skills like event and project management, leadership, intercultural communication, but I also improved my English and I gained self-confidence. Yes, I really do speak five languages! Having parents from different countries and growing up in Germany, which has a really good school system, helps a lot. You can talk to me in German, English, Spanish, Catalan and French.